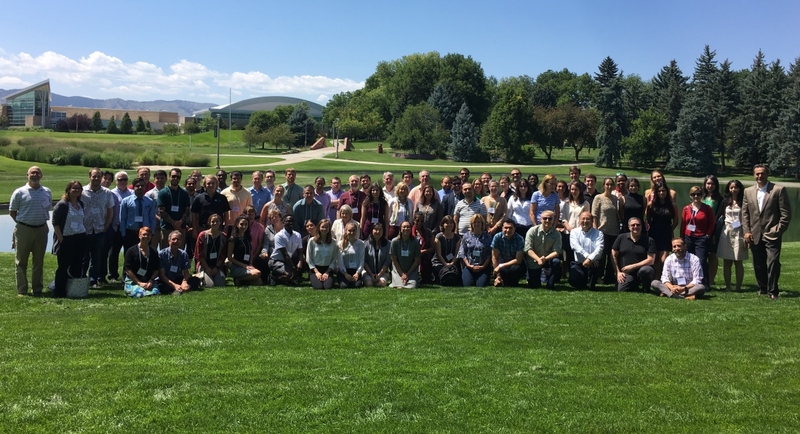 The 2018 Urban Water Innovation Network Annual Meeting was held at Colorado State University in Fort Collins, Colorado July 30 – August 1, 2018. The third annual all-hands meeting focused on team interaction and was designed to maximize our time together by promoting project collaborations and interdisciplinary communications. The meeting was kicked-off with the Year-3 Executive Summary from Mazdak Arabi, followed by updates on stakeholder engagement efforts (Sukop) and education & outreach (Berkowitz). A concurrent student breakout session was facilitated by the UWIN External Evaluator (Vincent) to discuss mechanisms to enhance the UWIN student experience and communication efforts. Thrust-level breakout sessions were conducted to provide ample time for individual project updates, poster presentations and student interactions. The session began with a coordinated summary including lightening presentations from each project, followed by a two-hour poster session limited to that particular research thrust. The half-day session concluded with a facilitated discussion on topics of interest and project synthesis/collaboration ideas. The External Advisory Committee (EAC) met on the final day and provided valuable feedback on the Network’s progress over the last year. A Strengths, Weakness, Opportunities and Threats (SWOT) Analysis was completed by the EAC and notes are available on the corresponding tab. Affinity Group leaders provided updates on year three activities (Green Infrastructure [Meixner], Energy Water Nexus [Meggers], Citizen Science [Berkowitz et al], Urban Flooding [Miller & J. Smith]). The Citizen Science group has successfully obtained funding for two proposals submitted during Y3 (“Off the Roof” and “Green Infrastructure Rapid Assessment”). Two productive breakout sessions were conducted by the Urban Flooding Group to explore UWIN approaches to addressing climate change and extreme flooding. Detailed notes from these discussions are available here. Lunch meetings were conducted both days to coordinate future plans. The 5 Helpful Lists activity was introduced to the UWIN conference participants during the first day of the conference and used to gather the participant’s views on UWIN’s synthesis and integration efforts, asking them the following five questions: 1) What’s right? ; 2) What’s wrong? ; 3) What’s confused? ; 4) What’s missing? ; and 5) What is the potential? All meeting participants were encouraged to add their feedback to the lists. The results were analyzed and synthesized by the UWIN leadership team and external facilitator, Elicia Ratajczyk (CSU Institute for the Built Environment) at the end of the second day and organized according to whether the suggestion was related to a Product, Process, or Functional Capability. These results were then presented back to the attendees on the morning of the third day. An Integration & Synthesis Retreat was conducted the afternoon of the final day to help our group identify common goals and directions for integration and synthesis efforts during the remaining NSF grant term. The results of the 5 Helpful Lists activity became the basis for discussion during the retreat and focused around the Products, Processes, and Functional Capabilities that would make UWIN successful. A complete synthesis of the Retreat is available here. Abbreviated summary is available on the corresponding tab. An Integration & Synthesis Retreat was conducted at the conclusion of the Annual Meeting to help our group identify common goals and directions for integration and synthesis efforts during the remaining NSF grant term. A complete synthesis of the Retreat is available here. After review of the feedback solicited during the Annual Meeting and a thorough discussion during the Retreat, our working group determined the establishment of Task Forces would be necessary to refine and develop plans for integration efforts, centered around six primary products. An initial Task Force has been formed for each product to develop a short proposal outlining plans for the creation and development of the products listed below. Proposals will be released to the UWIN community for a 2-week comment period. Google docs will be used to solicit feedback. Links and further instructions will be made available in mid-September. The Network’s comments, suggestions and feedback will be used to further refine the proposals and develop plans for implementation. Approved integration plans will begin recruiting Task Force participants from the broader UWIN community and coordinating efforts in late October. As always, our External Advisory Committee (EAC) provided valuable feedback on the Network’s progress over the last year. A Strengths, Weaknesses, Opportunities & Threats (SWOT) Analysis was completed by the EAC and notes are available below. Exciting growth of the project beyond the original conception: NYC stormwater, social justice, NRT, etc. shows that the project is identifying and jumping on new opportunities. Starting to focus well on actionable science. Last year focused on developing tools, and this year we start to see very nice application of those tools to producing actionable methods and results. Brian Bledsoe’s presentation using the survey data from Sharon, Liz, etc.’s work was an excellent example of the kind of interaction and engagement between social science and engineering/natural science. We would like to see a lot more of this kind of thing. Impressive data collection and effective use of data to understand and evaluate the project. The fact that the students reported being motivated more by intellectual engagement than with the stipend was very nice. The data demonstrated the importance of building professional and peer networks for promoting diversity. Conversations with undergraduate students showed students who never thought about a research career as an option until they participated in the URP. What undergraduates accomplished in only two months was very impressive and is testimony to excellent mentoring and excellent organization of the URP. What URP is doing is very well aligned with the needs of the water industry as well as university research. Both the sister-city and education outreach parts of this were singled out as important. An important thing looking forward is to help students be aware that many of the problems around water are very hard, so the failure to solve the problem is not a weakness of the students, but a mark of the difficulty of the problem, and that failure can be a valuable opportunity to learn. The EAC was impressed by the interest in engaging with ASCE, WRF, and other professional associations. We encourage more of this kind of outreach and engagement (e.g., Army Corps of Engineers, AWWA). Thrust A may be drifting away from a water focus. Mazdak commented on the need to keep things focused on water. Thrust B – The single/dual water distribution system may be a big challenge in developed cities (e.g., Philadelphia). It would be important to make it clear how installing a dual-distribution system in an established city. The problem here may not be that the concept is unfeasible, but that it’s not being communicated clearly and effectively to practitioners. Very hard to follow, too busy. Too much stuff in small fonts that are useless to the audience. Brian Bledsoe was the most effective: Very little text, and effective use of cartoons/illustrations and effective description of what the results were. Struggling with who the audience/stakeholders are and how to engage with those audiences. Need to communicate across thrusts and across UWIN investigators to develop consensus on the desired audiences and figuring out how to make sure everyone has a seat at the table. This potentially creates problems for junior faculty who need to focus on publications, but there is a real role for leadership by senior faculty among PIs. Many social science participants feel that they are not being included adequately across the project, and that they would really like to have a larger role. AWWA focus on water supply but not enough attention to wastewater side or integrated management. The energy side of One Water is not getting enough attention. Over the second half of the funding period, think about outreach to the whole research community so non-UWIN researchers can easily see how they might organize their data collection and organization so they can both get value by connecting with UWIN data and add value to UWIN by contributing their data. There is a good opportunity to significantly advance actionable science. This should be emphasized as the project moves forward. Future: help students be more effective with one-minute presentation about what they did. Help them become more effective communicators. Opportunity for constructive critiques, focused on building strengths and confidence. Undergrad poster presenters tended to focus on the person they were talking to and not taking notice and including other people who come over, so judges found themselves waiting for 5 minutes to get attention. This isn’t saying the students are bad, but that there is a good opportunity to coach the students in managing this interaction, which they will run into at every conference they attend. If it isn’t a good time for one team to reach out to stakeholders, then be deliberate and say, “this isn’t the time.” Right now, outreach and engagement feels haphazard as we compare different groups/thrusts. 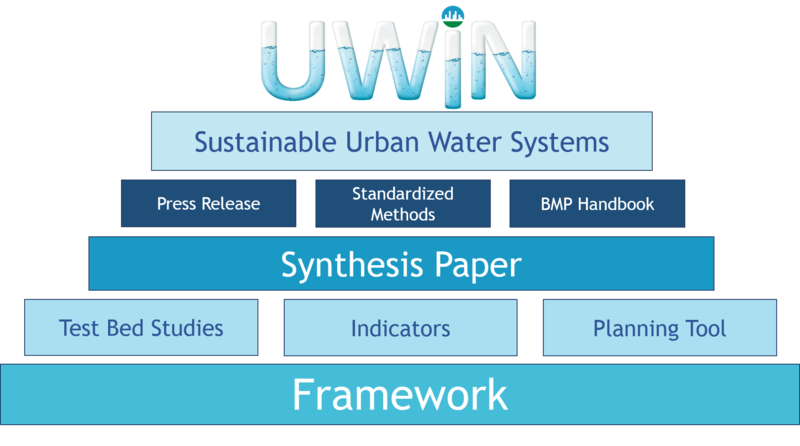 The project is at a very good point to start synthesizing across UWIN and One Water. Mazdak’s idea of using specific places as a way to focus on synthesizing seems very promising and we encourage this. We recommend developing an explicit strategy to develop integration and to do this in place, using testbeds etc. Developing methods and tools to facilitate synthesis and connections across the thrusts and the different parts of the project. Opportunities for synergies on university/municipal partnerships around data organization, communication, etc. at the city level. 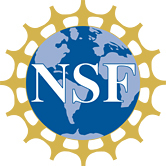 Possible CISE Smart and Connected Community funding opportunities. The heat island research is very promising as a source of useful actionable products. Taking this work and translating it into a form that will be actionable in practice, and marketing this product effectively is an example of an excellent opportunity for this project to produce not just good science, but also real practical information that can have a big impact. This could become a model for other parts of the project. The growing emphasis (especially with regard to flood hazards) on design to fail safe rather than preventing failure is increasingly important to practice. Building on this is a big opportunity. Embracing the kind of data visualization that UREX did is very promising, and so is Brian Bledsoe’s Thrust B work on visualizing probabilistic flood risks. Data analytics and visualization tools could be important products of this project. In general, there are examples of where haphazard and ad-hoc decisions are made by sub-projects about what they’re doing, but it would be really helpful to be deliberate about these and state clearly what groups are choosing to do and not to do, and then to work on harmonizing those decisions across the whole project so that each group’s decisions about what not to do align with other projects. New ideas about water distribution and sewer systems have potential for reducing vulnerability to terrorism. These could be developed into valuable actionable insights. Potentially a separate synergetic project. Tom Meixner’s finding about maintenance and green infrastructure seems very promising and we really wanted to learn more. This would be great to develop further. Pursuing the idea that came up in discussions about what does it mean to put the “green” in green infrastructure and how this works in practice. This was discussed in detail with regard to Baltimore but is broadly applicable and important to pursue further. What is a suitable amount of greenness to achieve water system performance goals, and how much is this driving decisions, versus considerations about property values, aesthetics, etc. What is the role of greenness? Who is shaping the criteria and decisions? Moving forward with research to follow up on the discussion of gentrification would be a big opportunity. There will be a tendency for folks to say “we don’t have all the answers, so we can’t start to make actionable products yet.” It will be important to address this obstacle, and think about how to make actionable products before the fundamental research is complete. Continuing to talk about extreme events (floods, etc.) in terms of return time could intellectually limit the effectiveness of the work and make it harder to develop new and important insights. Scope creep: water is everywhere, and there is a danger of seeing too many connections and getting spread too thin, so it will be important to be thoughtful about drawing boundaries to delimit what is important to this project. Political realities. Plans that work well in principle may be vulnerable to voter concerns and political pressure from interest groups. Thirty-one students attended, including eight undergraduate and 23 graduate students, many of which participated in the second annual student poster competition. Students were asked to present their posters during their corresponding Thrust-level breakout session. All non-student meeting attendees were asked to evaluate two student posters. Evaluation forms were provided on-site and submitted for tabulation at the end of Tuesday and winners were announced Wednesday morning. Top posters were selected in each Thrust and undergraduate posters were evaluated for a separate group of awards. Third Places (tied) – Annie Block (home: Columbia, host: Brooklyn College); Jacquelyn Chavez (home: NM Inst. Of Mining & Tech,. 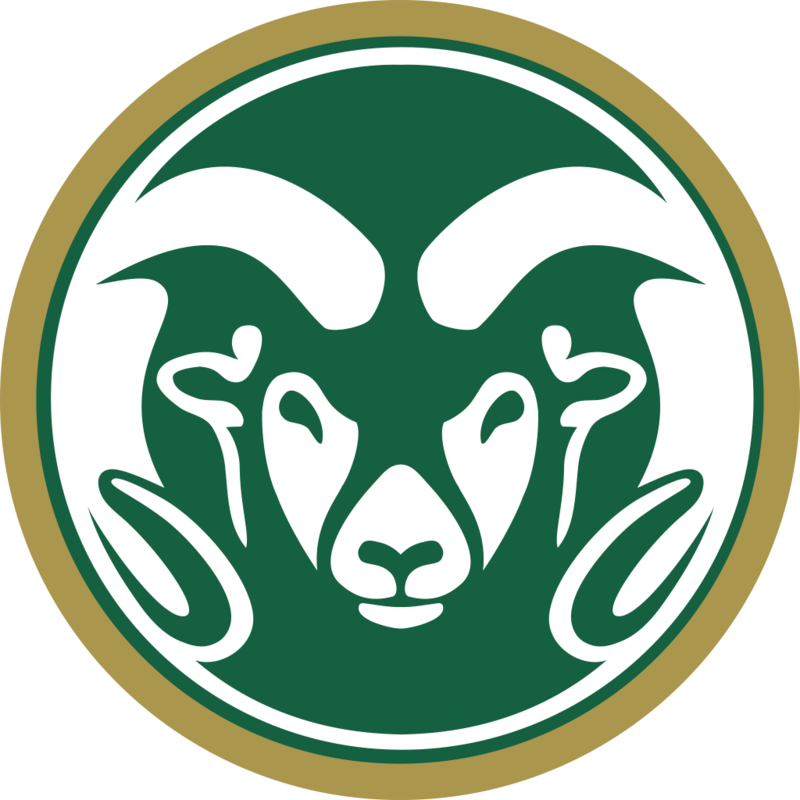 host: CSU); Hattie Greydanus (home: Calvin, host: OSU).